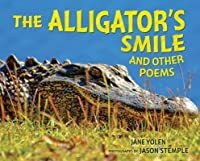 Another great collection of poetry by Jane Yolen! Each of these poems about alligators presents an interesting aspect of these fearsome creatures. Along with the each poem is an amazing photograph and a sidebar with factual information. This book of poetry is engaging and interesting for so many reasons. There is variety in the style and format of the poems, one with just seven words. The titles, such as "Kindergarten for Alligators" and "Obituary", are clever and spark curiosity about alligators. The facts include information that would be new to many young readers, such as how the alligator got its name. This book of poetry will make a great addition to a poetry collection because the poems are captivating, but also because it can be used to illustrate how poems can provide information. If you've wondered how doughnuts were invented, this is the book to read, with its fun and interesting explanation of how the pastry came to be. 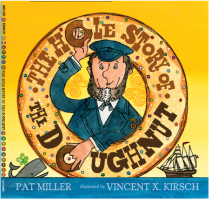 The book tells the true story of Hanson Gregory, a sailor from Maine, who invented what was first known as the holey cake, to solve a problem sailors had with eating fried cakes that were not fully cooked in the center. The illustrations help to make this an amusing story. I'm sure young readers will enjoy learning how one of their favorite treats was invented. This is an informational book that explains the ways that plants move even though they appear to sit still. There are descriptions of the actions of various plants along with illustrations of them. Some plants wiggle, some reach, some tumble and some even explode. The text has few words on a page, as sentences often stretch across pages, creating a poetic, rhythmic feel. The layout of the text is interesting, as well, with the action words highlighted in different colors from the other words on the page. The last few pages of the book tell the names of the plants that are pictured throughout the book along with some additional facts. This book presents information in an engaging and interesting way. Readers will learn information about plants, but also think about them in different ways as they consider their movements. This is an enjoyable sequel to Cody and the Fountain of Happiness. Cody is excited that her friend Spencer has moved into the neighborhood. They soon discover that there are two new girls living next to Spencer who aren't quite so friendly. The story shows the challenges of trying to get along with others. It also shows the diversity that exist among families. 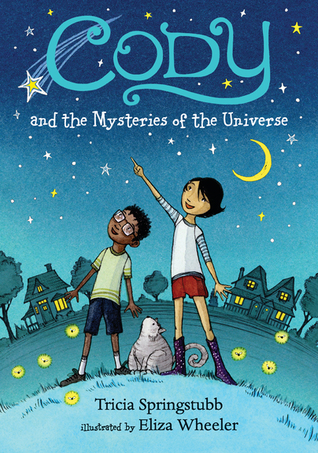 I think fans of the first Cody book will enjoy this one as well. Marcel lives in small town in France during World War II. Even though his town is part of the Free Zone, German soldiers have started to appear. Marcel delivers bread for his parents, who own a bakery, and when he discovers a note in a loaf of bread he realizes they are part of the French Resistance. Marcel befriends a new classmate, with who he shares a love of bicycling, and he soon learns her family is in danger. In spite of the danger, Marcel wants to help. Friendship and courage are at the heart of this novel. Marcel's story is exciting and the novel would interest those wishing to gain insight into a major historical event. This is a new series by the author of Dork Diaries, which many of my students love. This is the adventure of Max, who's stuffed inside a locker, told in his voice. There is lots of action, much of it rather silly, that fans of books, such as Dork Diaries and Diary of a Wimpy kid will probably find humorous and entertaining. The cliffhanger at the end left me disappointed because I really wanted to Max's problem to be resolved, but I'll have to wait until the second book. I'm sure readers will be eagerly awaiting the second book, as well, after reading this one. Intriguing picture books. A new Jane Yolen poetry book is always wonderful, and the donut book and the plant book also look good! I love Jane Yolen's other poetry books as well. They are great to have in a poetry collection. I'm so glad to see a new series for fans of Wimpy Kid. Thanks for sharing! I am glad, too. It will help to expand the reading of my students who love that kind of book. Thanks for the Yolen recommendation. I am always looking for new poetry books. I will definitely check that out! I think the topic of alligators will capture the interest of nature/animal lovers. It's fun and definitely provides some little know details about the doughnut. There are so many books here on your list that I want to read. 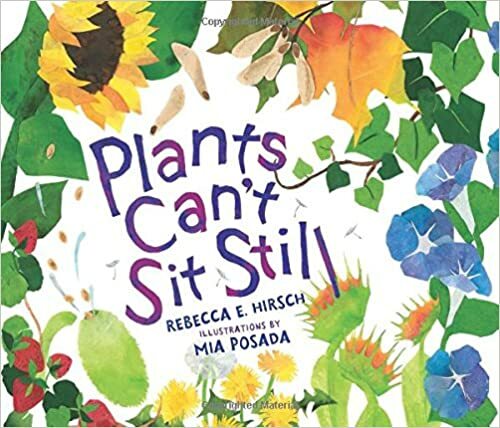 Plants Can't Sit Still isn't available at our local library yet, and this is the one I want to read most! The Bicycle Spy is on order so I was able to put it on hold. Thanks so much for the heads up about these beautiful books. I hope you get to read both of them and enjoy them! 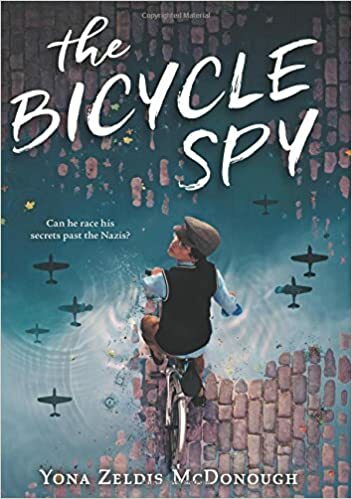 The Bicycle Spy sounds like a book I would want to read! I'm keeping my eye open for Plants Can't Sit Still too. Looks good! 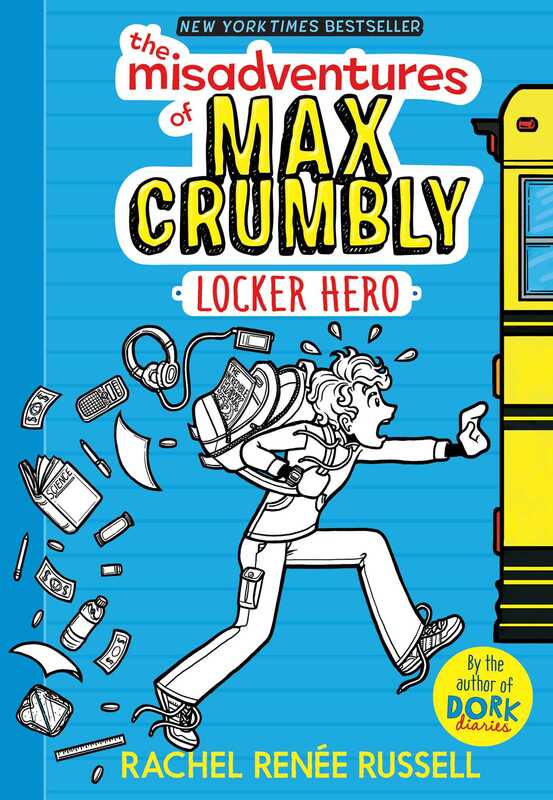 I really need to check out The Misadventures of Max Crumbly; Dork Diaries are hugely popular in my school, so I'll bet this one would be a big hit. Thanks for the tip! Have a great week! Dork Diaries is popular in my school as well so I was glad to see that the author had written a new series. I am loving the look of Bicycle Spy! The Max Crumbly title looks exactly like the type of book my teenager would have devoured had she been a few years younger. :) She was a Dork Diaries fan. Max Crumbly is going to be good for my reluctant readers who like silliness and lots of visuals in the books they read. 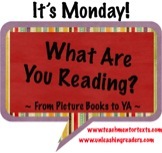 You've inspired me with the picture books, especially the poetry one by Jane Yolen.